Being prosecuted for a crime such as a DWI can lead you into a maze of legalese and unfamiliar territory. This article is aimed at providing you a brief overview into the criminal process after the arraignment. At Villanueva & Sanchala, PLLC we fight to protect your interests. If you are charged charged with a DWI or other criminal charge, you should call our firm at 914-723-7900 for a confidential consultation. 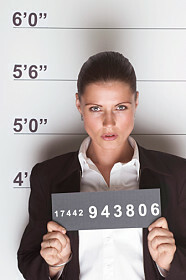 After your misdemeanor arraignment, you will be given a date to return to court. The time frame in which you are required to return to court will vary upon the court’s availability. Usually, the case will be adjourned for your attorney and the prosecutor to discuss your matter outside of court and attempt to resolve your case without extended legal proceedings. If your case cannot be resolved with a mutually agreed plea bargain, your case can be litigated through a process commonly referred to as discovery. During the discovery stage, documents and information are exchanged between the prosecution and defense. Ultimately, pre-trial motions may be made on your behalf to obtain further information and suppress certain potential evidence. If the presiding Judge finds there is sufficient evidence and the case cannot be resolved, your case may be set for trial. Once your pre-trial hearings have concluded and you continue to proclaim your innocence, your case will be adjourned for trial. Your trial can be held in front of a jury or Judge only which is commonly referred to as a bench trial. At trial, the prosecution must prove your charges beyond a reasonable doubt. Their failure to do so will result in your charges being dismissed. If you are in need of representation on a DWI matter or criminal case, call our attorneys today at 914-723-7900 and set up your confidential consultation.